KVH Industries, Inc., headquartered in Middletown, Rhode Island, has introduced the 1725 Inertial Measurement Unit (IMU) and the 1775 IMU, advanced sensors designed to be integrated into a range of stabilization, pointing, and navigation applications. The new products complement KVH’s 1750 IMU and create a range of choices for advanced six-degrees-of-freedom (6DOF) sensors with enhanced performance. 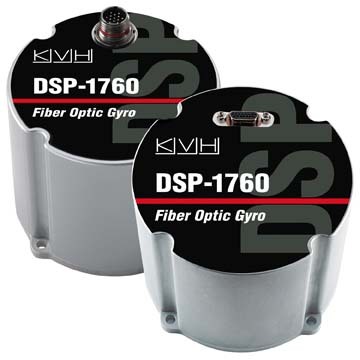 All three products utilize the E•Core ThinFiber technology of KVH’s DSP-1750 fiber optic gyro (FOG). 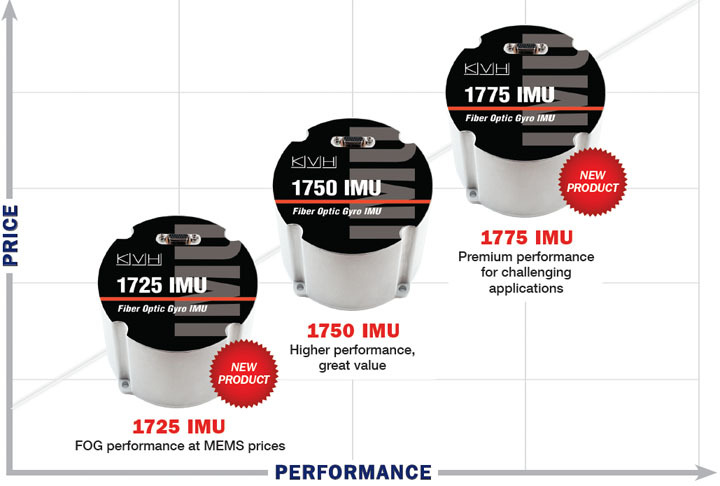 According to KVH, the 1725 IMU features a flexible user interface, with user programmable data output rates from 1 to 1000 hertz and is designed for all types of platforms and navigation or stabilization systems where low cost, high-performance, and high bandwidth are critical for success. The 1775 IMU is a premium sensor designed to deliver the highest level of performance to meet the demands of platforms requiring superior performance in the most challenging environments. It offers a flexible interface with user-programmable data output rates from 1 to 5000 hertz and includes three axes of magnetometers for automatic gyro bias compensation even in the presence of strong magnetic fields. The 1775 IMU is designed for sophisticated systems and applications where very high bandwidth, low latency, and extreme stability are critical.